CAPTURE, SPAY-NEUTER, RELEASE, AND FOREVER SHELTER-FEED . The single most important thing that we can do to save cats and dogs from all the suffering and death that their overpopulation causes is to spay and neuter them. Spaying and neutering are routine surgeries that can prevent thousands of animals from being born, only to suffer and struggle to survive on the streets, be abused by cruel or neglectful people, or be euthanized in animal shelters for lack of a loving home. Spaying and neutering makes a big difference: In six years just one female cat and her offspring can produce 370,000 kittens and a female dog and her offspring can produce 67,000 puppies. Sterilized animals live longer, happier lives. Spaying eliminates the stress and discomfort that females endure during heat periods, it eliminates the risk of uterine cancer, and greatly reduces the risk of mammary cancer. Neutering makes males far less likely to roam or fight, prevents testicular cancer and reduces the risk of prostate cancer. Altered animals are less likely to contract deadly and contagious diseases such as feline AIDS and feline leukemia, which are spread through bodily fluids. Feral cats are domestic animals fearful to trust humans. From a young age they never had the opportunity to socialize and to learn how to trust people. 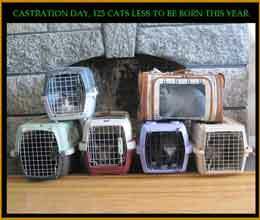 Often, feral cats are the descendants of unaltered cats who were abandoned outdoors. Feral cats live short, hard lives on the streets. In addition to the contagious diseases explained above they also suffer from minor cuts or puncture wounds which can turn into raging infections and abscesses. Untreated upper respiratory infections can cause cats' eyes and noses to become so caked with mucus that they can barely see or breathe. These poor animals often scratch their ears until they bleed because they are driven mad by the pain and itching of ear mites and related infections. 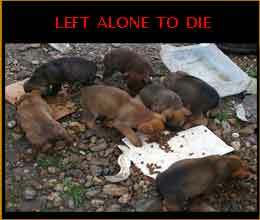 Others die from blood loss or anemia because of worms, fleas, and untreated injuries. Urinary tract infections, which frequently lead to urinary blockages in male cats, cause slow and excruciating deaths if left untreated. If cats miraculously escape these perils, they may still fall prey to agonizing deaths at the hands of cruel people. Why should I have my male cat or dog neutered? Male animals contribute to the animal overpopulation crisis even more than females do. Just one unsterilized male animal can impregnate dozens of females, creating dozens upon dozens of unwanted offspring. Neutering also eliminates male animals' risk of testicular cancer and reduces unwanted behaviors such as biting and spraying. 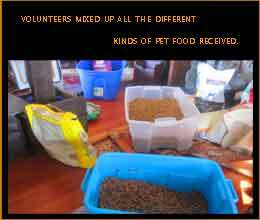 Capture, Neuter/Spay, Release, and Forever Feed Program. 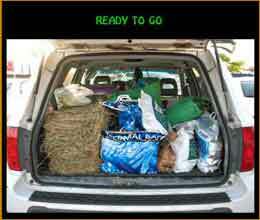 Capture, Neuter/Spay, Release, and Forever Feed is a program in which feral or stray cats living outdoors are humanely trapped, taken to the veterinarian to be evaluated, vaccinated and sterilized. The feral kittens and the tamer stray cats would be given the chance to find loving homes. 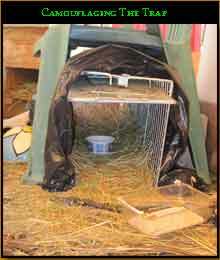 Healthy adult feral cats which are too wild to be placed in a home are returned to their outdoor home-base and cared for by volunteers for as long as resources allow. This program gives a chance for a healthier life for the cats and it provides an ethical way to reduce the cat colonies in our community. No more kittens are born and the vicious cycle of reproduction is stopped.